We have implemented the WRF-Chem model version 3.5 over Poland to quantify the direct and indirect feedback effects of aerosols on simulated meteorology and aerosol concentrations. Observations were compared with results from three simulations at high spatial resolutions of 5 × 5 km: (1) BASE—without any aerosol feedback effects; (2) DIR—with direct aerosol-radiative effects (3) INDIR—with direct and indirect aerosol-radiative effects. We study the overall effect during January 2011 as well as selected episodes of the highest differences in PM10 concentrations between the three simulations. For the DIR simulation, the decrease in monthly mean incoming solar radiation (SWDOWN) appears for the entire study area. It changes geographically, from about −8.0 to −2.0 W m−2, respectively for the southern and northern parts of the country. The highest changes do not correspond to the highest PM10 concentration. Due to the solar radiation changes, the surface mean monthly temperature (T2) decreases for 96 % of the area of Poland, but not more than 1.0 °C. Monthly mean PBLH changes by more than ±5 m for 53 % of the domain. Locally the differences in PBLH between the DIR and BASE are higher than ± 20 m. Due to the direct effect, for 84 % of the domain, the mean monthly PM10 concentrations increase by up to 1.9 µg m−3. For the INDIR simulation the spatial distribution of changes in incoming solar radiation as well as air temperature is similar to the DIR simulation. The decrease of SWDOWN is noticed for the entire domain and for 23 % of the domain is higher than −5.0 W m−2. The absolute differences of PBLH are slightly higher for INDIR than DIR but similarly distributed spatially. For daily episodes, the differences between the simulations are higher, both for meteorology and PM10 concentrations, and the pattern of changes is usually more complex. The results indicate the potential importance of the aerosol feedback effects on modelled meteorology and PM10 concentrations. The online version of this article (doi: 10.1007/s00024-016-1267-2) contains supplementary material, which is available to authorized users. Aerosol particles have an important role in the climate system acting on the global radiation budget in two ways—directly by scattering and absorbing the incoming radiation or indirectly by altering the cloud properties (e.g. Charlson et al. 1992; Andreae et al. 2005; Rosenfeld et al. 2008). Furthermore, a climate-biosphere feedback mechanism on diffuse radiation can alter net ecosystem exchange significantly (Mercado et al. 2009) and it has been suggested that this process will also be very important on the emission of particle precursors such as isoprene from nature (Wilton et al. 2011). Additionally, studies of human health indicated that there are significant correlations between particulate matter levels and increased respiratory and cardiovascular diseases, and mortality (Pope et al. 2002; Perez et al. 2008). Many chemical transport models (CTMs) have been developed to better understand the physical and chemical processes of gas-phase species and particulate matter. The models generally underestimate PM2.5 and PM10 mass concentrations by 4.0–14.0 µg m−3 (10–50 %) and 6.5–18.0 µg m−3 (20–50 %), respectively (Tuccella et al. 2012). It is, therefore, important to explore the processes that relate to PM concentrations to explain this underestimation. Most CTMs are implemented as offline models, where the meteorological input data are provided by an independent model. In that solution it is impossible to simulate the complexity of the aerosol-cloud-radiation feedback process. Additionally, the decoupling between the meteorological and chemical model leads to a loss of information because of the physical and chemical processes occurring on a time scale smaller than the output time step of the meteorological data (Zhang 2008). It is well accepted that weather has a profound impact on air quality as well as that atmospheric composition can influence both weather and climate. Coupling of atmospheric dynamics, pollutant transport, chemical reactions and atmospheric composition will remain one of the most challenging tasks over the next decades as they are strongly integrated processes (Jacobson 2002; Zhang 2008; Baklanov et al. 2014). Accurately simulating these feedbacks requires the use of online-coupled meteorology-chemistry models, e.g. GATOR-MMTD (Jacobson et al. 1996), WRF-Chem (Grell et al. 2005), GEM-AQ (Kaminski et al. 2007), GEM-MACH (Moran et al. 2010), among which the weather research and forecasting with chemistry (WRF-Chem) model represents a state-of-the-science online model. Zhang (2008) applied WRF-Chem over eastern Texas and showed that the presence of aerosols leads to a decrease in surface temperature by up to 0.18 °C. By coupling a cloud microphysics module with WRF, Lynn et al. (2007) illustrated the suppression of precipitation by continental aerosol in the Sierra Nevada Mountains. Zhang et al. (2010) applied WRF-Chem over North America at a 36 km × 36 km resolution to examine the influence of direct and indirect feedback effects on meteorology and photolysis rate. Despite the relatively coarse resolution, the results of Zhang et al. (2010) indicated the potential importance of the aerosol feedbacks on a regional scale, even at a time scale of a month. Similar studies on feedback effects have been undertaken for Europe by Forkel et al. (2012), where the WRF-Chem model was implemented at a resolution of 22.5 × 22.5 km. This work has shown that over the European continent, many of the spatial changes in meteorological parameters and pollutants due to aerosol effects are not only a general feature but also a result of the prevailing meteorological situation. It was suggested that a more pronounced feedback mechanism from aerosols can be expected with increased horizontal resolution (e.g. 5 vs. 50 km) or by focusing on episodes compared to long term means. In this study we explored the direct and indirect feedback effects of aerosols on both meteorology and PM concentrations. We focused on the difference between specific episodes and long-term means and implemented for this purpose the WRF-Chem model version 3.5 at high spatial resolution (5 km × 5 km) over Poland. With this we studied an extended period that contains several episodes of high measured PM10 concentrations: January 2011. The aim of this study was twofold: first we wanted to compare the model results of meteorological variables and PM10 concentrations with available measurements. Second, we quantified the feedback effects on modelled aerosol concentrations and meteorological parameters. The Weather Research and Forecasting (WRF) model is a mesoscale non-hydrostatic meteorological model that includes a large number of options. These options include parameterisations of the Planetary Boundary Layer, the land surface description, cloud microphysics, radiation and convection processes. WRF-Chem is a version of WRF coupled online with a chemistry model where meteorological and chemical components of the model are predicted simultaneously. A complete description of the model is given by Grell et al. (2005) and Fast et al. (2006). The main options for physical and chemical schemes used here are listed in Table 1. These include the Noah Land Surface Model (Chen and Dudhia 2001), YSU boundary layer physics (Hong et al. 2006), RRTMG long- and short-wave radiation scheme (Iacono et al. 2008), Grell 3D parameterisation with radiative feedback and shallow convection (Grell 2002), the Lin microphysics scheme (Lin et al. 1983). The convection was explicitly resolved for the innermost domain (d03), which is of the main focus of this paper, and no analysis nudging (FDDA) was included for this domain. For the BASE and DIR simulation we used the Lin et al. (1983) scheme with the prognostic cloud droplet number turned off. In the INDIR simulation the cloud droplet number of grid scale clouds was calculated by a prognostic equation. The gas phase chemistry model used in this study was the regional acid deposition model, version 2 (RADM2, Stockwell et al. 1990). The aerosol module included the Modal Aerosol Dynamics Model for Europe (MADE, Ackermann et al. 1998) for the inorganic fraction and the Secondary Organic Aerosol Model (SORGAM, Schell et al. 2001) for the carbonaceous secondary fraction. The model was run for January 2011 with three one-way nested domains. This study focuses on domain 3, which covers Poland at 5 km × 5 km spatial resolution and hourly temporal resolution. The simulations were driven by the NCEP final analysis, available every 6 h, with 1° × 1° spatial resolution and TNO MACC II emissions, with 1/8° × 1/16° spatial resolution (Kuenen et al. 2014). Temporal variations in emissions are restricted to emissions from nature, while the TNO MACC II emissions are assumed constant during the entire simulation. The chemical boundary conditions of trace gases consist of idealised, northern hemispheric, mid-latitude, clean environmental profiles based upon the results from the NOAA Aeronomy Lab Regional Oxidant Model (Liu et al. 1996). The simulation uses a spin up, with the model simulation started on 30 December 2010. To study the influence of the feedback effects, we run three simulations: (1) BASE—baseline simulation, without any aerosol feedback effects; (2) DIR—direct aerosol-radiative effects only (also includes semi-direct effects); (3) INDIR—direct aerosol-radiative effects and indirect effects (also includes semi-direct and second indirect effects). The WRF modelled air temperature at 2 m (T2), relative humidity at 2 m (RH2), surface pressure (PSFC) and wind speed at 10 m (W10) were compared with 3-hourly measurements from 58 sites provided by the Institute of Meteorology and Water Management in Poland. The model evaluation was done for all three simulations—BASE, DIR and INDIR. The following statistics were calculated for all available stations as mean values for January 2011: mean bias (MB), mean gross error (MGE), normalised mean bias (NMB), normalised mean gross error, root mean square error (RMSE) and index of agreement (IOA). Modelled downward short wave flux at ground surface (SWDOWN) was compared with measurements from three stations under the Poland-AOD network (Warszawa, Sopot, Strzyżów) and provided by the Institute of Geophysics, University of Warsaw. For Warszawa and Strzyżów the data were available for the entire analysed period and for Sopot for the first 18 days of January. The time series of modelled and observed values were provided for all stations and individual statistics for daylight hours for each station were calculated. Additionally we used all stations from the World Radiation Data Centre available for Poland for January 2011. This included three stations (Kołobrzeg, Belsk and Zakopane) available at daily temporal resolution. For these stations we plotted time series with measured and aggregated to daily modelled values SWDOWN. using only background stations and plotted according to station area type. Finally the spatial distribution of MB between the INDIR simulation and observations is presented. The summary of domain-wide error statistics for all sites and the entire period of January 2011 is presented in Table 2. For all the simulations (BASE, DIR, INDIR) the lowest NMB and NMGE is for PSFC and the highest for T2. A high Index of Agreement occurs for all meteorological parameters, with only RH2 below 0.70. Inclusion of feedback effects slightly changes the statistics for T2, RH2, PSFC and W10. The highest decrease in model performance between BASE and INDIR simulation is for the air temperature. The mean bias of T2 was plotted at 3-hourly temporal resolution (Fig. 1). MB changes during the day but for all the simulations the lowest bias (below 1.5 °C) is at 9 and 12 am, whereas for the rest hours is above 2.0 °C. These diurnal changes are consistent with results reported by Kryza et al. (2015) for a long-term WRF simulation for Poland for years 1981–2010. There is a reasonably good Index of Agreement (above 0.75) between modelled and observed solar radiation (SWDOWN) for Sopot and Strzyżów but observed values are overestimated by the model (Table 3; Fig. 2). The best performance has been obtained for the station located at the sea coast (Sopot) and the worse for Warszawa. Inclusion of the direct feedback improves all error statistics for the three sites; however, inclusion of indirect feedback increases MGE and RMSE for two of them, if compared to DIR. Time series plotted for daily values available from the World Radiation Data Centre for Belsk, Kołobrzeg and Zakopane (Fig. 1 in supplementary materials) present a similar trend as for hourly measurements from POLAND-AOD. The measurements are overestimated by the model, with the best agreement between model and observations for the sea cost station (Kołobrzeg) and worst for Zakopane (at the base of the mountains). Temporal changes in SWDOWN, T2, PBLH and differences for the BASE, DIR and INDIR simulations are described for two locations—Łódź and Łeba (Fig. 3, figures for WSPD and RH2 are available in supplementary materials, Fig. 2). The first station is in the area with the highest positive differences of PM10 concentrations between INDIR and BASE, and the second is located in the area of the negative differences. Generally, the peak values of SWDOWN are highest for BASE and appear at the same time for all simulations. An exception is, e.g., the 12th and 17th January in Łódź, where the highest solar radiation is for INDIR and DIR, respectively. The highest differences in T2 appear for the same episodes as for SWDOWN. For selected periods the temperature in Łódź, for the INDIR simulation is up to 2.5 °C lower than that for BASE. High variability between DIR and INDIR simulations appears on 02nd–04th of January at Łódź station and 10–14th, 10–24th of January at Łeba. For several episodes PBLH differs between DIR and INDIR simulation by more than 200 m. For Łódź, the lowest differences between the simulations are for the 4–9th and 11–15th of January, which also coincide with small differences in the air temperature. This is also a period with relatively lower values of solar radiation at the surface in comparison to the last 10 days of the month. Mean monthly solar radiation for the BASE simulation for January 2011 in Poland domain was 53.3 W m−2. Inclusion of direct effects in the model decreases the monthly mean solar radiation by 3.5 W m−2. It changes geographically from about −8.0 to −2.0 W m−2, respectively, for the southern and northern parts of the country. The lowest decrease is for the Baltic Sea. Solar radiation decrease is observed for the entire domain and it is more than −5.0 W m−2 for about 15 % of the area (Table 4). The highest changes do not correspond to the highest surface PM10 concentrations (Figs. 4, 9). Daily mean solar radiation changes from about −20.0 up to 10.0 W m−2, both for 19th and 29th of January (Fig. 5). For the 19th the increase in SWDOWN was noticed for about 24 % of the domain. Inclusion of both direct and indirect feedback causes a decrease in monthly mean solar radiation equal to 3.8 W m−2. The spatial distribution of changes are similar to changes for DIR, both for monthly and daily values (Figs. 4, 5). The decrease is apparent for the entire domain and for 23 % of the domain it is higher than 5.0 W m−2. Due to the solar radiation changes, the surface mean monthly temperature (T2) decreases over 96 % of the domain, but the decrease is less than 1.0 °C (Table 4). Locally, in the north part of the country an increase was observed, of up to 0.5 °C. Daily variability is higher than monthly and for the 19th January varies between −1.5 and 2.0 °C, but for the majority of the area (about 75 %) it is negative. There are no significant differences between the results for the INDIR and DIR simulations (Table 4). Mean PBLH for the BASE simulation in January 2011 was 243.3 m and varied from 62 to 502 m. The highest was over sea and the lowest in the south-eastern Poland. PBLH changes by more than ±5 m for 42 % of the domain when the direct feedback effect was included. The highest differences, both in the case of the DIR and INDIR simulations, were modelled for northern and southern Poland. For the northern part of the domain, DIR gives higher PBL than the BASE simulation up to 14 m, whereas for the southern part PBLH is lower for DIR by up to 23 m. For the episodes of the 19th and 29th January the differences exceed 20 m, respectively, for about 33 and 10 % of the domain; however, for some regions the difference is above 50 m and locally even exceeds 100 m.
The model results for all three simulations have been compared with the surface PM10 measurements. There are no large differences in mean model performance among the simulations (Table 5; Fig. 6). For all of the three runs the FAC2 statistic is 0.89, MB equal from −9.54 to −9.70 µg m−3 and R between 0.67 and 0.69. However, the largest error statistics are for the simulation with no feedback effects (BASE), and inclusion of the direct and indirect effects leads to improvements in the model performance. For three selected sites, located in the large Polish cities (Warszawa, Poznań, Łódź), time series of modelled (BASE, DIR, INDIR) and observed concentrations and scatter plots for INDIR are presented in Fig. 7. The model generally captures the variability induced by some pollution episodes (e.g. 4–7, 28–30 of January), but in some cases underestimates their magnitude. The main reason for this is the flat annual emission profile applied for anthropogenic sources. In Poland, anthropogenic emission changes seasonally for both primary PM10 and their gaseous precursors, especially for SNAP sector 2 emission (residential combustion) which is largely responsible for emission of PM10. For INDIR the spatial distribution of MB is presented in Fig. 8. There is a tendency towards overestimation of observed values at the stations located at the sea coast, whereas for the stations located in the central and southern Poland the model has a tendency to underestimate of PM10 concentration. Mean temporal changes of PM10 concentrations for the total domain are presented in Fig. 9. Significantly higher concentrations for DIR and INDIR in comparison to BASE are for 27th–29th of January. This episode is also quite well reproduced in Fig. 7 which presents PM10 concentrations for Warszawa, Poznań and Łódź. Taylor diagrams plotted according to station location (Fig. 10) show small differences with respect to the type of station. The results for background, industrial and traffic stations show very small differences. Nevertheless, the WRF-Chem results showed slightly worse results for urban stations when compared to suburban and rural. The correlation coefficients and centred RMSE for the background stations are slightly better for rural stations in comparison to suburban and urban stations. The mean monthly modelled PM10 concentration for the domain of Poland (BASE simulation) in January 2011 is 26.0 µg m−3. The highest concentrations concern the central part of the country and locally exceed 45.0 µg m−3. The monthly mean differences between DIR and BASE simulations range between −0.4 and 1.9 µg m−3 (Fig. 11). For 84 % of the area PM10 concentration is higher when indirect effects are present. The differences between INDIR and BASE simulations range between −0.5 and 2.0 µg m−3 with the spatial distribution similar to DIR. When the direct feedback effect is included, daily differences in PM10 concentrations for the episodes of the 19th and 29th of January are between −5.0 and 13.0 µg m−3. The PM10 concentrations are higher than for the BASE simulation for about 55 and 32 % of the domain, respectively, for the 19th and 29th of January. The highest differences are for central Poland for both 19th and 29th. In the case of the INDIR simulation the PM10 concentrations change in the range of −7.0 to 8.0 in comparison to DIR. The hourly variability between the DIR or INDIR and BASE simulation is higher than the daily variability. For the 19th of January at 12.00, the direct effect changes the PM10 concentration in the range of −13.0 and 20.0 µg m−3 and inclusion of the indirect effect changes the concentration from −33.0 to 28.0 µg m−3, in comparison to the BASE simulation. The online meteorology-chemistry model WRF-Chem has been implemented to investigate the direct and indirect feedback effects of aerosols on both meteorology and PM10 concentrations with the focus on the difference between specific episodes and monthly means. The simulations with high spatial resolution of 5 km × 5 km were run for Poland, for January 2011. The modelled meteorological parameters and PM10 concentrations have been evaluated against observations. Aerosols affect radiation and temperature in several ways due to different radiative effects of different aerosol components (Jacobson et al. 1996). They can reduce incoming solar radiation via backscattering, therefore increasing the surface albedo and decreasing surface temperature. In our study a decrease in monthly mean incoming solar radiation appears for the entire area, whereas a decrease in surface air temperature is observed for about 96 % of the domain. The direct effect of aerosols on solar radiation is clearly noticeable for days with relatively high solar radiation. For these days the difference between DIR and BASE often reaches 50 W m−2 (e.g. between 20th and 30th January at Łódź, Fig. 3). Changes in air temperature in the atmosphere cause changes in monthly mean PBLH. Monthly mean PBLH changes in the range of ±5 m for 58 % of the study area. Locally the differences between DIR and BASE were higher than ±20 m. An increase appears in the northern and a decrease in the southern part of the domain. PBLH reduces because of enhanced stability as a result of the warming caused by black carbon in the PBL and the cooling at surface resulting from reduced solar radiation. Lack of this effect in the northern part of the study domain may be related to the relatively warm sea surface and local increase in air temperature. In the case of daily values the differences in PBLH for some regions reach ± 100 m. These changes may have a great impact on air pollution behaviour in the air. Reduced PBLH indicates a more stable planetary boundary layer and can thus further increase air pollution over areas where air pollution is already severe (Zhang et al. 2010). Inclusion of direct feedback increases specific humidity for the western and north-western part of the domain (Fig. 3, supplementary materials). Inclusion of indirect feedback intensifies this effect for some parts of these regions. There is a strong impact of the indirect effect on specific cloud water content (QCLOUD) over the Baltic Sea and north-western and southern regions of the domain. Specific cloud water content increases notably for INDIR in comparison to the BASE and also DIR simulations and these changes are opposed to changes in Q2 (Fig. 3, supplementary material). For the region with the highest difference in QCLOUD between INDIR and BASE and relatively small difference between them, the vertical profile of QCLOUD was plotted (LOC1: 49.0°N, 20.0°E, LOC2: 52.0°N, 20.0°E, Fig. 4 in supplementary material). For the first location the vertical profile shows higher QCLOUD values for the INDIR simulation in comparison to BASE and DIR between the 1st and 5th model layers, but above these layers the results for the three simulations are the same. The highest difference between INDIR and BASE is for the 1st and 4th model layer. For the second location the QCLOUD profile is more diverse and differences appear both between the DIR and BASE and INDIR and BASE simulation. Generally, the highest values are for INDIR but for some areas (model layer 5) QCLOUD is the highest for BASE. For the episodes of the 19th and 29th January, for some areas the decrease in QCLOUD is higher than 0.02 g kg−1 (Table 1 and Fig. 5, supplementary material). In the case of the INDIR simulation the spatial distribution of mean monthly changes is similar to DIR and ranges mainly between 0.001 and 0.300 g kg−1. Considerable changes in monthly sum of rainfall for DIR simulation were found in contrast to the comparatively small changes in solar radiation for these regions. The pattern of the precipitation is not related to SWDOWN or QCLOUD. Due to the direct effect, for 85 % of the domain, the mean monthly PM10 concentrations increase by up to 1.9 µg m−3. A decrease of up to −0.4 µg m−3 was noticed over Baltic sea as well as in the western and partially also southern parts of Poland. For the INDIR simulation, generally a decrease is observed by −0.1÷ −1.0 µg m−3 in comparison to DIR but locally in central Poland an increase appears. Partially, it could be explained by liquid phase aerosols formation, as suggested in Forkel et al. (2012). In the case of daily values, differences in PM10 concentration between DIR and BASE reach 14.0 µg m−3 and are positive for about 80 % of the domain. Comparison of hourly PM10 concentrations between INDIR and BASE for the 19th and 29th of January at 12.00 gives differences of −33.0 ÷ 28.0 µg m−3 and −12÷24 µg m−3, respectively. The meteorological WRF model results for T2, RH2, PSFC and W10 perform well when compared with observations, with a high IOA for all parameters. Inclusion of feedback effects slightly decreases the error statistics for air temperature and relative humidity. Modelled solar radiation (SWDOWN) is in good correlation with observations, but observed values are overestimated by the model. Inclusion of feedback effects improves MB and MGE statistics. There are no large differences in mean model performance for PM10 concentration among the simulations. However, the worst results are obtained for the BASE simulation. The model has a tendency towards overestimation of observed PM10 concentrations at the sea coast station. This may be related to overestimation of sea salt aerosol emission as modelled wind speed is higher than observed values from meteorological stations in this region. The results illustrate the potential importance of the aerosol feedback effects on modelled meteorology and PM10 concentrations. This influence is noticeable for mean monthly values but is evidently higher for daily and hourly episodes. This agrees well with previous studies with the COSMO-ART model on Saharan dust (Stanelle et al. 2010) and experiments from the EUCAARI campaign (Athanasopoulou et al. 2013). We made our simulations for a winter month which due to low temperatures and limited sun-shine has limited emissions from nature. A summer simulation should, therefore, provide a much higher impact from feedback effects. This suggests that for studies in high temporal resolution the online models are necessary to describe the processes and feedback effects correctly to obtain the most reliable results. For long-term studies the offline models in most cases meet the requirements as the overall feedback effect is reduced over longer periods. This study has been based on the winter period, which is characterised in Poland by high anthropogenic emissions of particulate matter and severe meteorological conditions. However, it was noticed that the highest feedback effects are not strictly related with the highest particulate matter concentrations. We suggest to carry out a similar study for this region for the summer period, which is characterised by higher solar radiation, high BVOC emissions from nature and more dynamic PBL, or during episodes with substantial transport of particles due to Saharan dust. 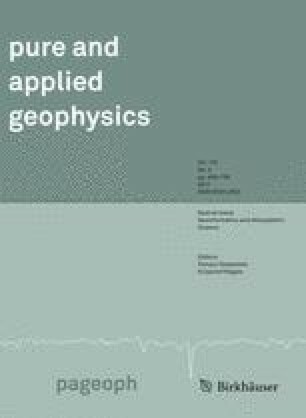 The authors acknowledge the Aerosol Research Network Poland-AOD and the Institute of Geophysics, University of Warsaw for the provision of radiation data, the Institute of Meteorology and Water management for the provision of measurements of: air temperature, relative humidity, surface pressure and wind speed and the Chief Inspectorate of Environmental Protection in Poland for PM10 measurements. This study has received support from the Polish National Science Centre through project no. UMO-2013/09/B/ST10/00594. Athanasopoulou, E., Vogel, H., Vogel, B., Tsimpidi, A. P., Pandis, S. N., Knote, C., Fountoukis, C., (2013). Modeling the meteorological and chemical effects of secondary organic aerosols during an EUCAARI campaign, Atmos. Chem. Phys., 13(2), 625–645, doi: 10.5194/acp-13-625-2013. Grell, G. A., Peckham, S.E., Schmitz, R., McKeen, S. a., Frost, G., Skamarock, W.C., Eder, B., (2005). Fully coupled “online” chemistry within the WRF model. Atmos. Environ. 39, 6957–6975. doi: 10.1016/j.atmosenv.2005.04.027. Stanelle, T., Vogel, B., Vogel, H., Bäumer, D., Kottmeier, C., (2010). Feedback between dust particles and atmospheric processes over West Africa during dust episodes in March 2006 and June 2007, Atmos. Chem. Phys., 10(22), 10771–10788, doi: 10.5194/acp-10-10771-2010.